Recent controversies in philosophy and sociology illustrate that identity-based dismissals do not seek to strengthen the quality of academic conversation, but rather employ ad hominem fallacies to re-assert hierarchies of knowledge, discourse, and personhoods. As a sociologist focused on transgender health, one of my research interests is knowledge production. Through cisnormative biomedicine — scientific systems that revolve around and cater to “normal” cisgender bodies — gender non-conformity is pathologized. Not only are transgender people understood as embodying gendered “deviance,” but they’re also relegated from the realm of “legitimate” knowledge production about their own bodies, medical needs, and identities. “Objective” knowledge about gender, rather, emerges from cisgender mental health specialists, advocates of conversion therapy, physicians, sexologists, and even “science”-wielding radical feminists whose claim to objectivity is simply attributable to their social dominance. Within the academy, cisgender and white academics are the authoritative — supposedly impartial and identity-less — experts on transgender and Black identities. And nowhere recently was this made more evident than the cause célèbre that was Rebecca Tuvel’s article “In Defense of Transracialism,” published in leading feminist philosophy journal, Hypatia. In her article, Tuvel asserts that if we hold “transgenderism” (a now offensive and anachronistic medicalized descriptor of transgender people) to be valid, then we must also see validity in “transracialism,” as made famous by Rachel Dolezal. Tuvel notably excluded the work of both Black and transgender (and Black transgender!) scholars on the sociologically inaccurate parallels between race and gender and even the boundaries of each social construct: while she eventually acknowledged their scholarly contributions in her defense of her work, she failed to cite any of them, essentially excluding them from the canon. But following the article’s publication, she became the poster child for free speech and the encroachments of academic freedom. From whom does she need to assert her freedom — censor-happy, conservative academe or the roaring cabal of marginalized scholars demanding intellectual rigor and epistemic honesty in the perpetual mistreatment of our identities? Only in a discursive arena in which there is no acknowledgement of historical and structural power dynamics does a cisgender white woman need to be protected by the academy for claims made in a peer-reviewed article. But that demand for protection is, in itself, a performance of the identity politics of whiteness; a knee jerk invocation of the pathological need to protect a virtuous cisgender white woman from the racialized and trans mob (that does not even deserve to be in the academy). A lot of sociological methodology articles about reflexivity and subjectivity rehash the age-old critiques of the “value” and “quality” and “rigor” of qualitative research, particularly ethnography and participant observation. The various controversies surrounding Alice Goffman’s On the Run still follow qualitative research as a whole, and act as a kind of cautionary tale about both the usefulness of qualitative methods and how it “lends itself” to flawed (i.e. unscientific and non-objective) data collection. For her ethnographic research, Goffman spent six years living and building relationships in a poor and predominately black Philadelphia neighborhood. Her extended ethnography is described by many as a thorough account of the impacts of the War on Drugs, the crack epidemic, institutional anti-Blackness, and generational poverty on the city’s Black residents. Others feel her portrait of Black life lazily generalizes the Black condition and justifies anti-Black carcerality as much as it empathizes with Black people. But the ethics of her role as a participant-observer have been called into question, particularly in legal scholar Steven Lubet’s assertion that she committed a felony as she was witness to an admission of murder. There are extensive critiques that claims and details within her book are partially or wholly fabricated, further undermining celebrations of both her research and the rigor of her method of choice. To many, her perceived failures as a researcher were attributable to the methods she used as opposed to her own individuals choices. Her shortcomings became a reflection of the flawed and unrigorous nature of qualitative research, particularly where academics overstep clear boundaries between acting as “objective” researchers and “biased” participants in their own work. As a black feminist, there’s a way in which the scholarship that informs my politics constantly fails the litmus test of “real” leftism: it, namely intersectionality, is incompatible with Marxism. Beyond being patently false — beyond the fact the likes of Patricia Hill-Collins, Audre Lorde, Ericka Huggins, Ella Baker, Audley Moore, Angela Davis, Claudia Jones, Assata Shakur, and other Black women that spoke to women’s issues did so through the simultaneous lenses of classed and raced and gendered criticality, often explicitly employing Marxian dialectics and frameworks — this claim is a means of dismissing Black women’s dialects and positioning them, and the identities that produced them, as inferior to Marxian materialism and the white men that are its most visible champions. I am a proponent of identity politics — here meaning an articulation of anti-hegemonic politics rooted explicitly in identity and collective experience — simply because I believe that objectivity as it is defined and actualized is an untenable epistemological construction emerging from Eurocentric thought. I believe that everything is informed and indelibly shaped by socializations and biases, even the very scientific inquiry rooted in reproducibility and replicability intended to produce objective work. With risk of being accused of being anti-science (as a medical sociologist focusing on biomedicalization theory, I can assure you that I’m not), harmful and unethical scientific practice is not simply a product of the individually held “biases” of the scientists participating in it. Many scientific practices and authoritative claims to knowing and describing the world, rather, are part of a social-structural apparatus that act in service of empire, within which certain bodies and knowledges are particularly marked and appropriately subordinated. In learning about research ethics, we are frequently taught about the Tuskegee Syphilis Study which holds a place in the pantheon of the all-time worst research practices. But we rarely place Tuskegee alongside the 1946-1948 Guatemala syphilis experiments — experiments led by physician Dr. John Charles Cutler, who served as the chief of the Venereal Disease Research Laboratory of the United States Public Health Service, participated in the latter stages of the Tuskegee study, and oversaw the Terre Haute prison experiments in 1943-44 — within a scientific structure whose ethical framework justified non-consensual and/or deceptive experimentation on indigenous people, poor black people/people of color, disabled people (even children, à la the Willowbrook School Study), and incarcerated people. 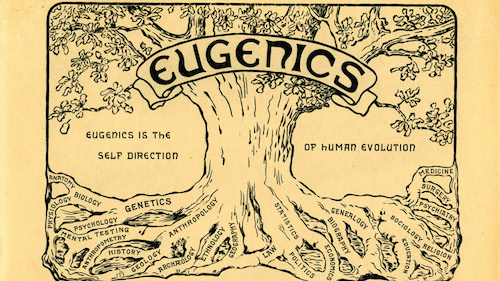 As Americans, we can point to the clear evils of the Nazi scientific apparatus, but because we dissociate Nazism from European coloniality, we refuse to acknowledge the ideological continuities and similarities within American science (or the fact that the Rockefeller Foundation funded German racial hygiene/eugenics research): the experiments in Tuskegee, Guatemala, and Terre Haute were all being funded in the United States while the Nuremberg trials (November 1945-October 1946) and subsequent Doctors’ trials (December 1946-August 1947) were ongoing in Germany. Like demands for “rigor,” where the capacity for it is determined by hegemonic structures and individuals bearing structurally dominant identities, demands for “objectivity” exist also as an articulation of identity politics. So too, are many of the calls for “free speech” when, like the apparent First Amendment right to bigoted expression, one’s freedom to discursive violences and flat-out inaccuracies are contested (read: censored) by a particular community or communities in question. Western science has often lagged behind indigenous knowledges, and yet indigenous communities are barred from being recognized as producers of “objective knowledge” until pharmaceutical patents are filed and the knowledge they had held for centuries is affirmed (without crediting them). What is a need for more freedom when you have power? Is the discursive playing field really limited or can one seek freedom from political illegitimacy or critique or argument from “lesser knowers” with superior theoretical understandings and arguments? These implicitly identity-based critiques are simply new vocabularies employed to dismiss “inferior” ways of knowing. Objectivity, like the scientific method and its benchmarks of reproducibility and replicability, is structural-historical function that serves a Eurocentric hegemony of thought, as is rigor. “Objectivity” is thus impossible to attain in any real sense because its metrics are created, asserted, interpreted, and constantly shifted by the guardians of an ultimately Eurocentric project and the values it espouses. Identity-based dismissals do not seek to strengthen the quality of academic conversation, but rather employ ad hominem fallacies to re-assert hierarchies of knowledge, discourse, and personhoods. If “rigor” is truly our intention, as opposed to the desperate defense of interlocking structures of power weaved throughout the academy and the discourse it exports, we should do our best to avoid them.